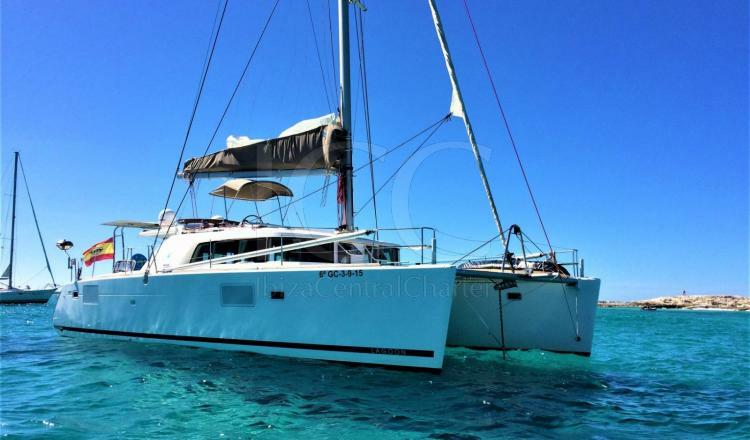 Spectacular Lagoon 440 for 10 people with 4 cabins. 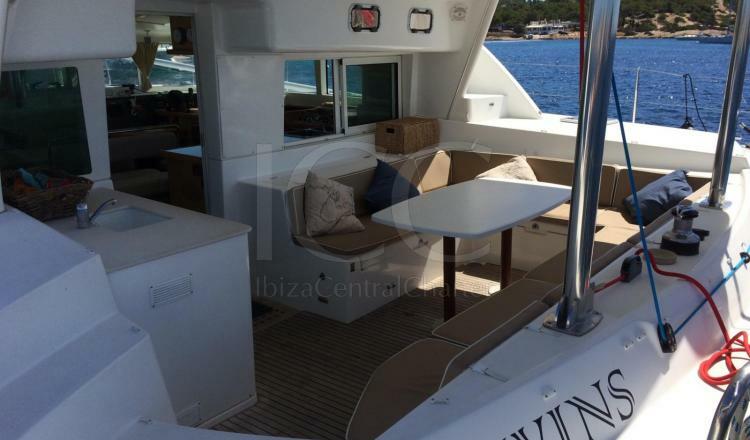 Discover the islands of Ibiza and Formentera aboard this Lagoon 440 catamaran with total comfort. 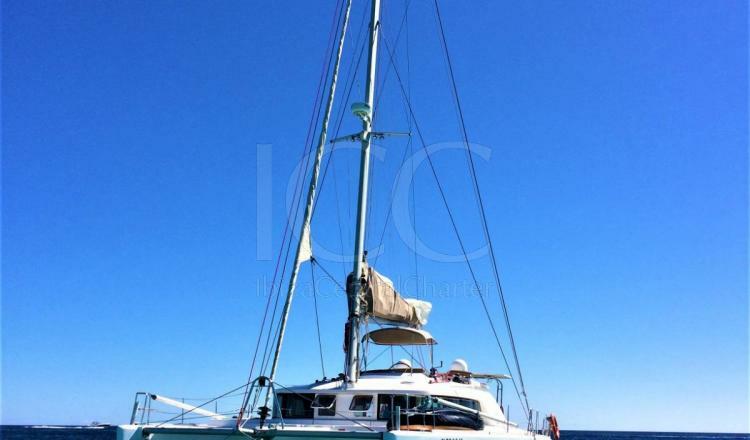 The Lagoon 440 catamaran has a length of 13.61 meters and a revolutionary design that has made the boat the reference among catamarans of its size. 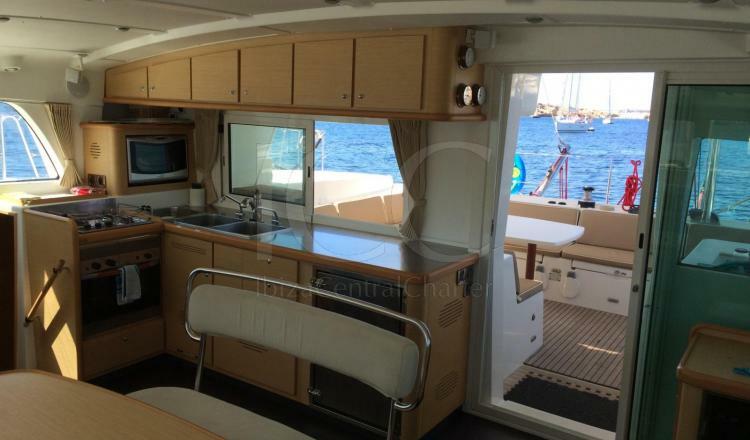 It has extensive outdoor areas to rest and relax. The aft terrace is equipped with a table surrounded by seats ideal for recharging your batteries outdoors. While aft you can sunbathe in their nets. 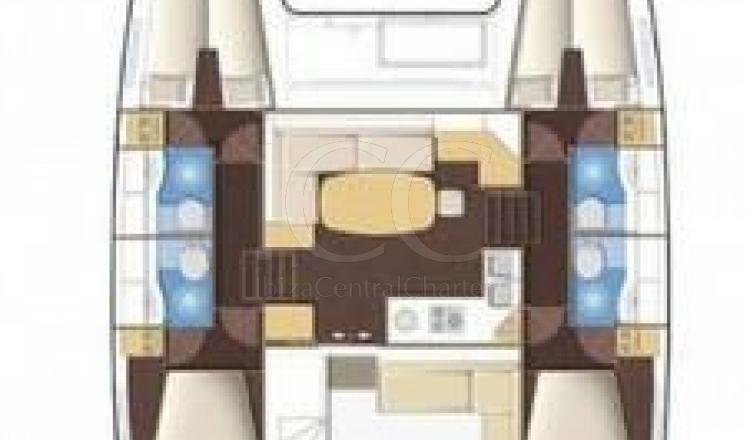 The boat offers a central steering point located on the flybridge where the skipper has great visibility and can be accompanied by the rest of the passengers while they relax in their solarium. 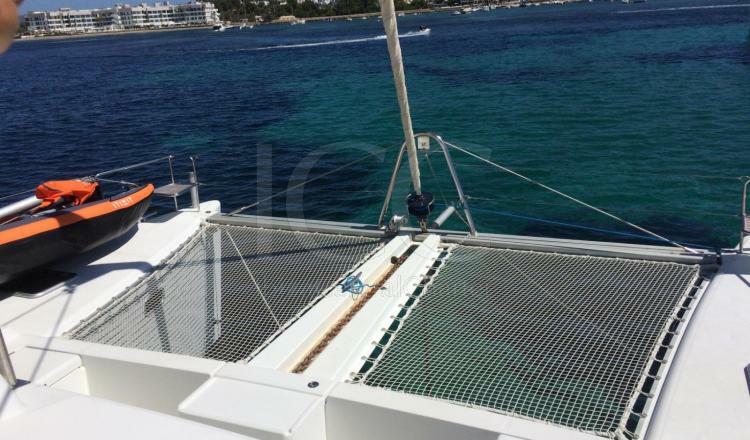 Underneath the deck you will find the necessary privacy in 4 full double cabins and 4 bathrooms to accommodate 8 people during the night. 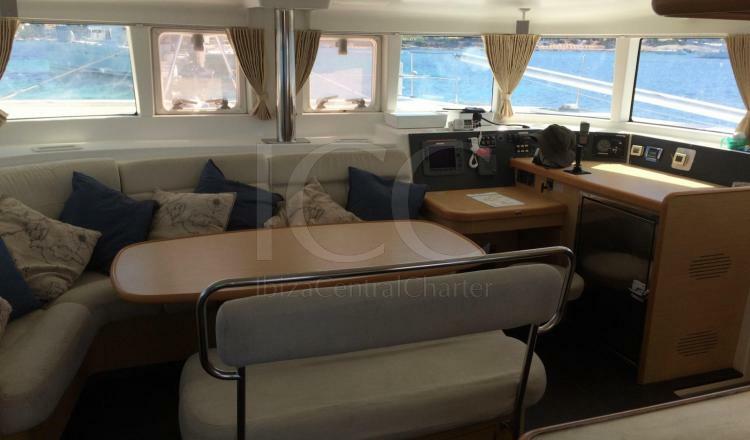 However, 10 people can enjoy a day of charter. 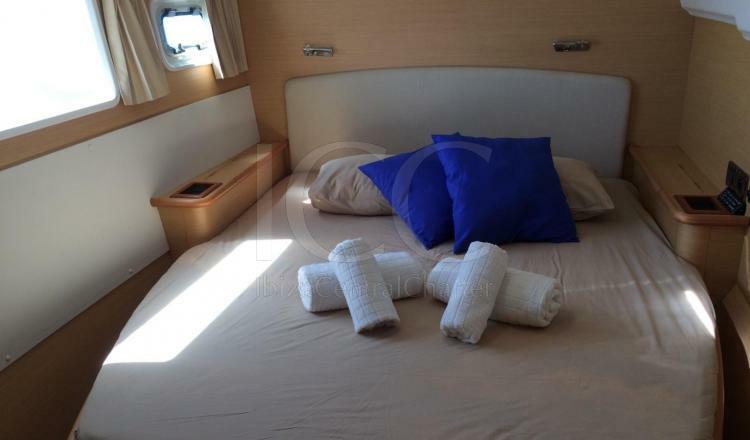 In the living room there is a large table to enjoy a lunch or dinner on board and a fully equipped kitchen. This Lagoon has good conditions of navigation and habitability on board. So it is one of the best options to enjoy an unforgettable vacation with your friends or family.